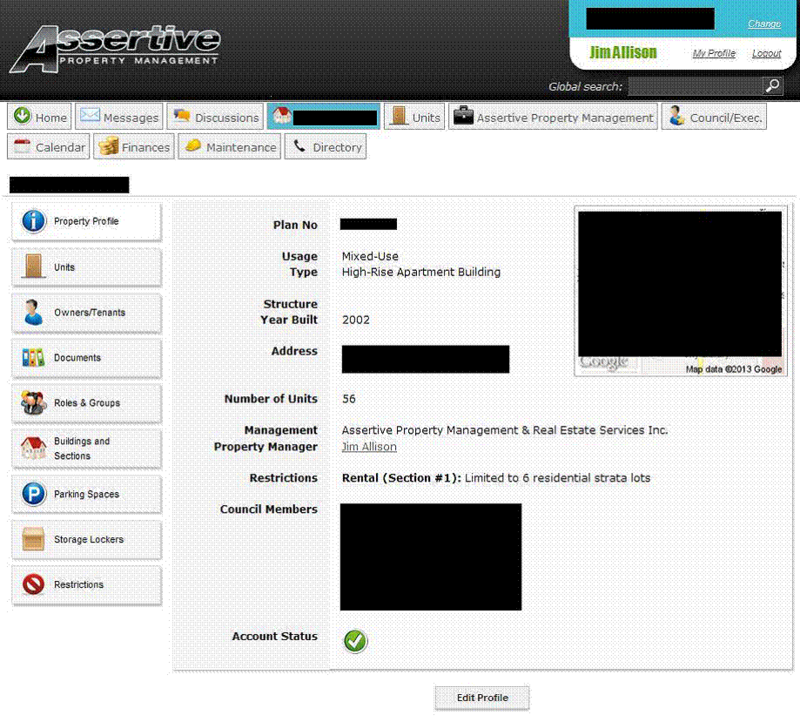 Assertive Northwest Property Management Group uses a unique online system, or Strata Web Portal, to manage its property-related data. The Strata Web Portal is powerful, visually pleasing, and easy to use. Strata council members, owners, and even tenants can access the Strata Web Portal by following the registration instructions in an email invitation sent by the strata property manager, and then picking their own username and password. Upon logging in to the Strata Web Portal, a resident may access certain information based on their “role” in the system. 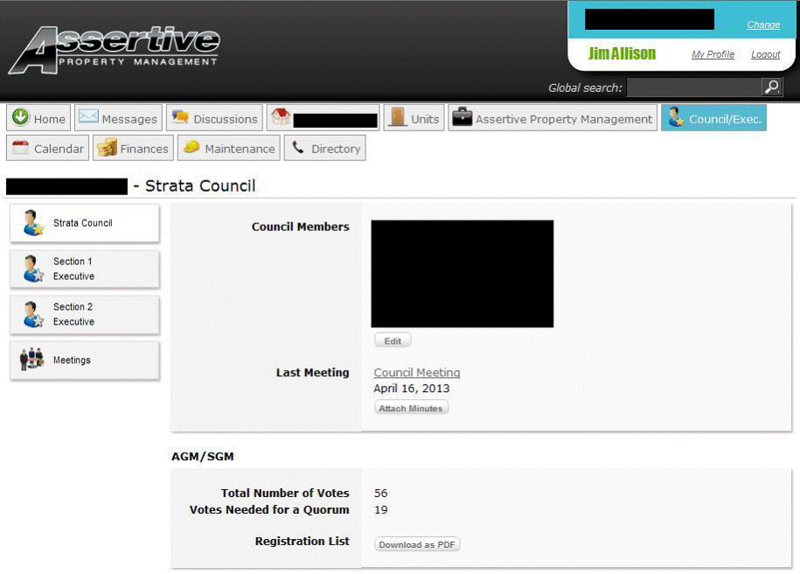 For instance, strata council members will have access to more information than owners or tenants. Privacy and security are of utmost importance, and we have worked hard to ensure that your information is fully protected in this online strata data management system. The Strata Web Portal uses Secure Sockets Layer, or SSL encryption, which is a cryptographic protocol that enables secure communication over the internet. The best part about this system is that it is continuously evolving. From its inception, it has already come a very long way to being the best online strata data management system there is. New features are constantly being added, suggestions can be made for ways the system can better suit your strata corporation’s needs, and any bugs or errors in the system can be reported and fixed at a rate few software providers can match. The other major factor about the Strata Web Portal is cost saving. Using this system, we are able to digitally distribute just about everything, with very little need for spending money on paper, ink, photocopying, and mailing expenses. The system also saves time, and everyone knows that time is money. By using less of our manpower to execute such tasks as sealing and stamping over 300 envelopes, our staff have more time to help your strata corporation with much more pressing issues. Strata residents can perform various tasks using the Strata Web Portal, such as keeping their own contact information up to date, and downloading the latest meeting minutes or bylaws. The Strata Web Portal provides a common area for the storage and access of a wide variety of information, including strata owner information reports, parking stall and storage locker lists, preferred contractor lists, and even annual maintenance plans. Strata property managers can upload any type of document to the system, and easily create custom lists to control and organize any type of data, from pet databases to project sign-up sheets. 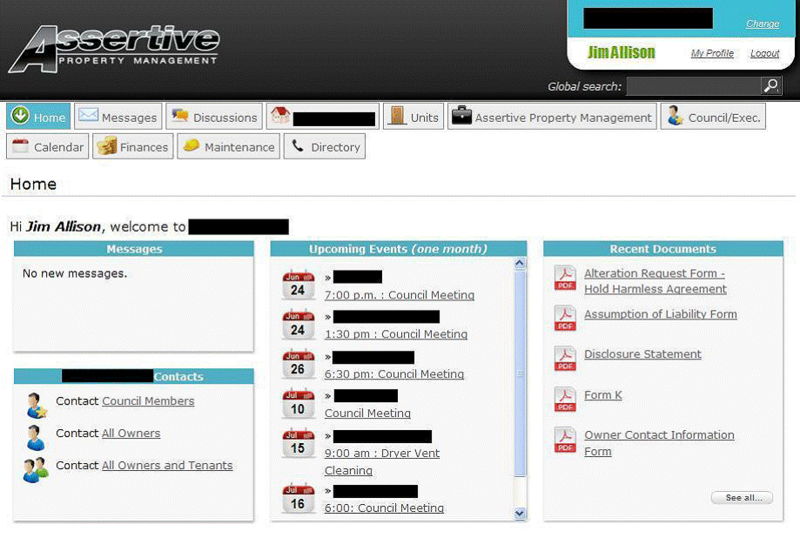 The built-in calendar in the system currently displays all upcoming meetings and scheduled maintenance. This Strata Web Portal is a major step forward in the direction of a paperless office which saves both money and the environment. It is also a key tool in promoting transparency and strong communication within a strata corporation, and providing a reliable and easy-to-use area where all data can be stored and managed. 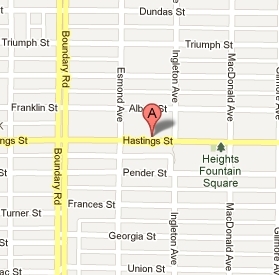 This service is the ultimate management tool, available to all residents, 24/7. There are endless possibilities for the countless ways in which the Strata Web Portal can aid your strata corporation in its day-to-day needs and responsibilities.